The marine habitats and resources of the Coral Triangle provide many goods and services to the people and countries of the region. Among the important services are coastal protection from mangroves and coral reefs and food security. 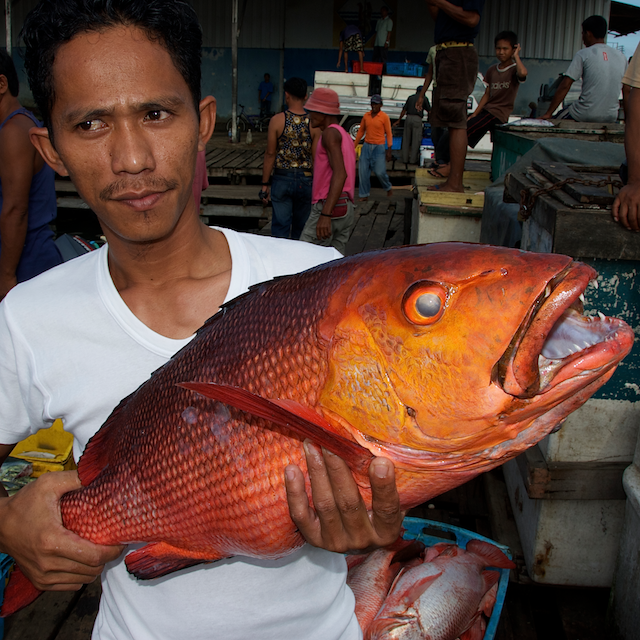 Many of the poor communities rely on coral reef and nearshore fisheries for daily protein supplies. In Papua New Guinea and Solomon Islands coastal villagers get most of their food supply from their own gardens and from what they can catch from the sea. One of the few sources of cash comes from the collection and sale of sea cucumbers and shells. 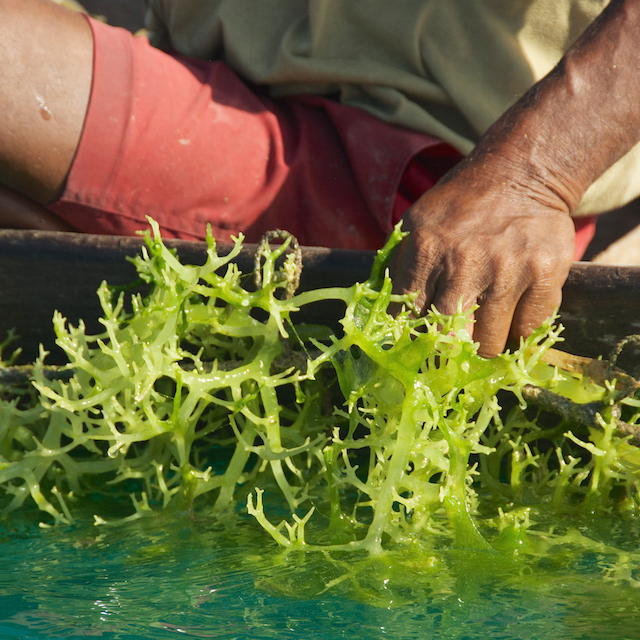 Coastal communities in Indonesia, Malaysia and the Philippines are increasingly turning to culturing of seaweed for carrageenan and raising high-valued fish for income. Seaweed is an increasingly common alternative to fishing for many coastal communities. Two species are raised, usually tied to lines that can float on the surface or anchored to the bottom in clear water. The crop requires intensive monitoring to keep away diseases and parasites and sells for less than $1 per kilogram, but it provides a stable income source at a time when fishing is becoming more and more difficult and insecure. The seaweed is dried and processed to form a floury powder used as a thickening agent in all kinds of processed foods, cosmetics and medicines. At least 6 species of tuna are found in the Coral Triangle. For many of them, the Coral Triangle is a spawning and nursery ground. In this region, they can be caught by local fishermen looking for income or daily food supplies. Its common for them to catch juveniles when they are close to shore. As the tuna grow and mature they migrate out into the Pacific Ocean where they are targeted by massive industrial ships from around the world. 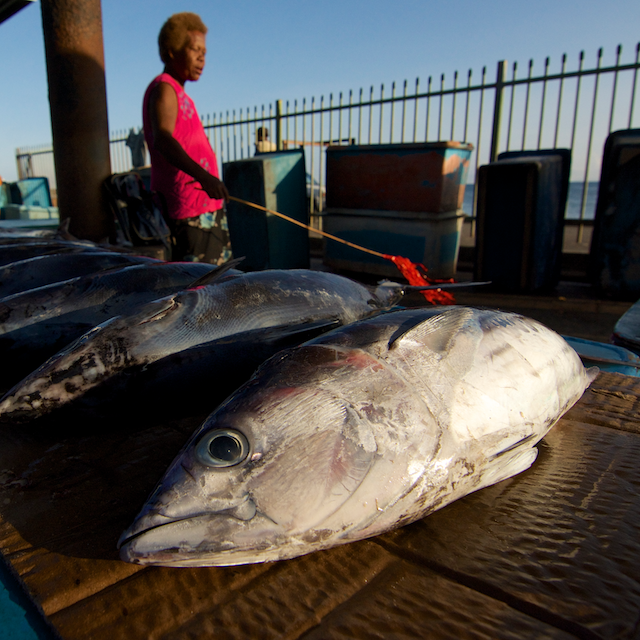 WWF claims that one-fifth of the global tuna catch originates in the Coral Triangle region. Skipjack tuna is the most abundant tuna species in the Coral Triangle and is usually caught with purse-seines set in open water and often with the assistance of a fish-aggregating device. 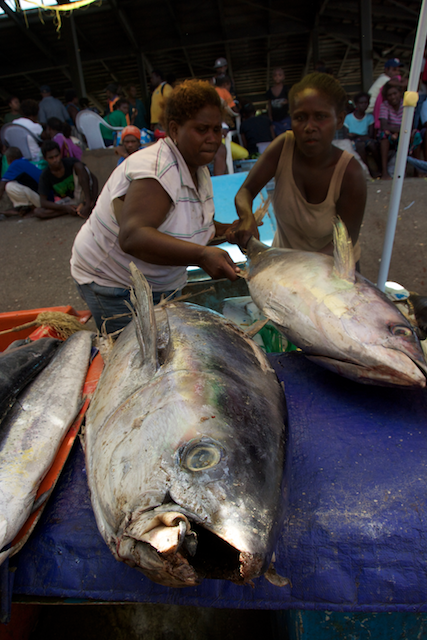 Papua New Guinea and Solomon Islands, along with several other Pacific countries, have obtained Marine Stewardship Council certification for sustainable fishing of Skipjack without the use of aggregating devices. The other two major species in the Coral Triangle, Yellowfin and Bigeye tuna are either fully exploited or overfished and require better management practices to make them sustainable. Small and medium sized fish that inhabit the open waters of the Coral Triangle are called ‘small pelagics.’ This commonly refers to anchovies, herring, scad and mackerels. This group comprises nearly ¼ of all fish landings in the Sulu and Sulawesi Seas shared by Indonesia, Malaysia, and Philippines. 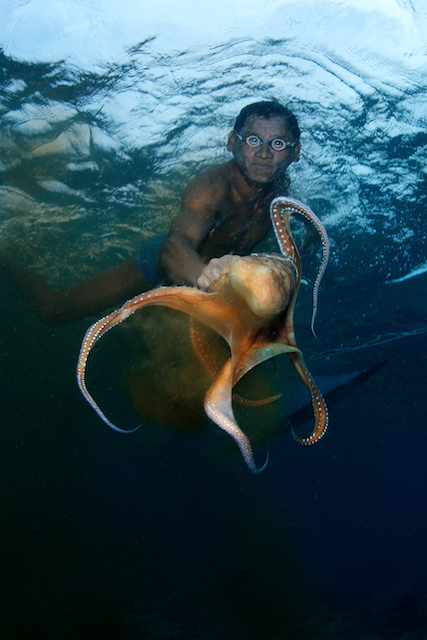 The fish are caught by artisanal fishers using gill-nets and hook and line. Commercial fishing targets them with purse-seines equipped with bright lights to attract schools of fish at night. Huge amounts of fish are landed throughout the region but the fishery is considered unsustainable under current practices. Indonesia, Malaysia and the Philippines are working together to manage the stocks under a project sponsored by UNDP. Cultivation of seaweeds in the region started in the Philippines in the 1960s and spread to Indonesia and Malaysia in the 1970s. Kappaphycus and Eucheuma dominate the industry for production of carrageenan as a thickening agent in foods, cosmetics and pharmaceuticals. In 2010, Indonesia, Philippines and Malaysia were the top 3 producers of Kappaphycus in the world. The seaweed is usually cultivated by tying propagules to lines that are either anchored to the bottom of shallow areas or floating at the surface in deeper waters. 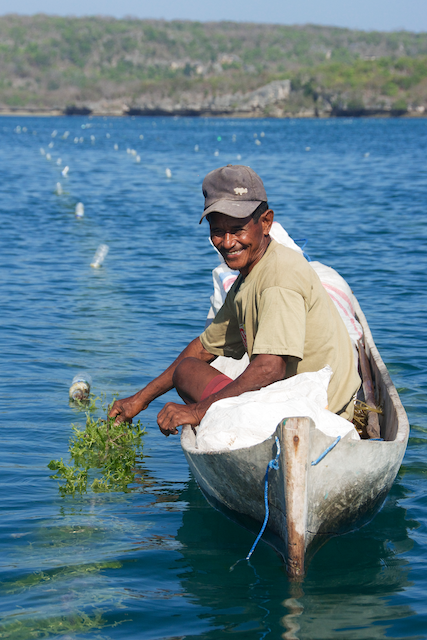 Seaweed farming is often introduced to poor fishing communities to give them stable income and an alternative to fishing. However, recent research has shown that seaweed farming does not always result in a reduction of fishing and that declining prices for seaweed make fishing, even on depleted reefs, a more attractive means of living. Also known commonly as sea cucumbers, beche de mer are an invertebrate bottom-dweller that filters sand and sediment for food. Sea cucumbers are a delicacy in some Chinese cuisines and have been exported to China for centuries. 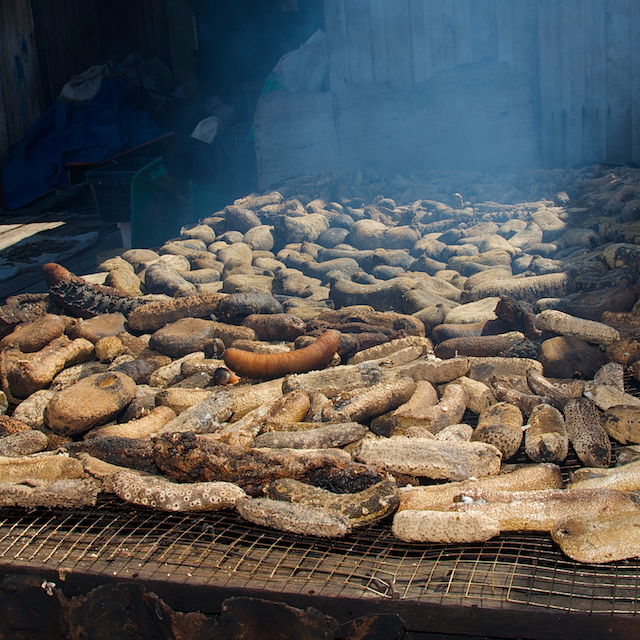 Although sea cucumbers are targeted for collection around the world, the highest rates of exploitation are in the Philippines, Papua New Guinea and Indonesia. 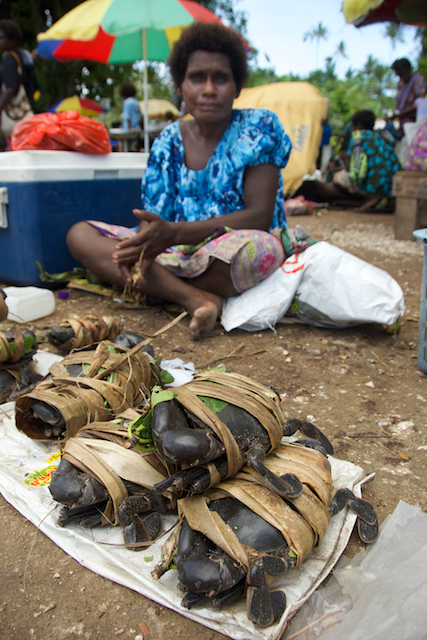 In many coastal communities of Papua New Guinea and Solomon Islands sea cucumber are the only source of income. However, over-collecting has driven many populations to near extinction. In Solomon Islands and Papua New Guinea a government imposed moratorium on all sea cucumber harvesting for the past 6 years has still failed to rebuild wild populations. Millions of people living around the Coral Triangle depend on nearby coral reefs for daily food and nutrition. 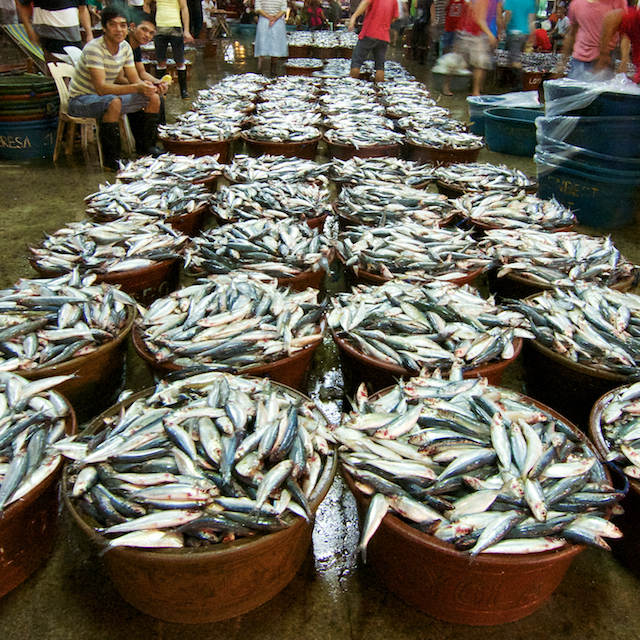 Fish are caught with hook-and-line or gill nets and eaten directly by the fishers and their family or sold in local markets. Some coral reef fish, particularly groupers and some wrasses are targetted specifically for export to Chinese restaurants in the region and East Asia. These fish are so highly prized that they are increasingly rare on Coral Triangle reefs, particularly in Indonesia, Malaysia and Philippines. Fishermen go to greater and greater lengths to find them, including diving with air compressors and squirting fish with a poisonous sodium cyanide solution. 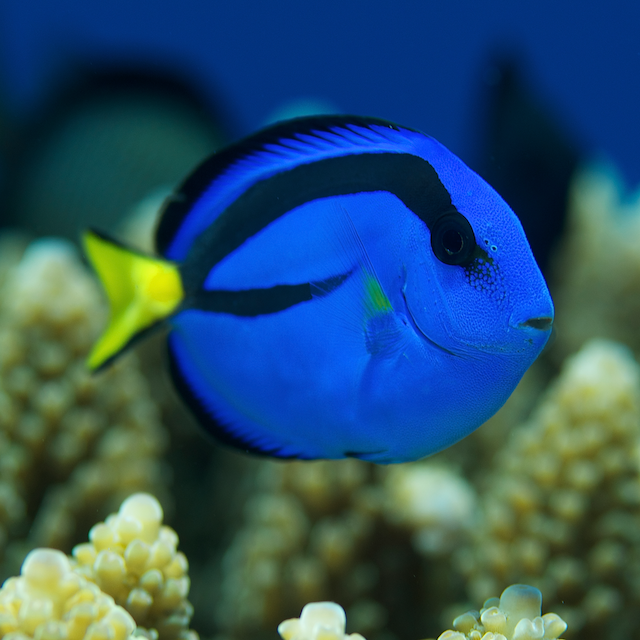 Keeping salt-water, coral reef aquariums became a popular hobby for Americans and Europeans in the 1990s. The aquarium trade targets colourful fish and corals from the Coral Triangle region to be sold to hobbyists around the world. Fishermen quickly learned that they could make substantial incomes by targeting these ornamental fish and invertebrates.The practice is largely unregulated in the Coral Triangle region and many fishers employ sodium cyanide to make it easier to catch high valued target fish. The demand for shark fin from China continues to drive the slaughter of sharks around the world. There is a growing movement to protect sharks in the Coral Triangle region with major airlines and hotels banning the sale and many government agencies vowing not to serve shark fin soup at official functions. Despite this, Indonesia remains the world’s biggest shark catching country with Malaysia playing an important role as well. 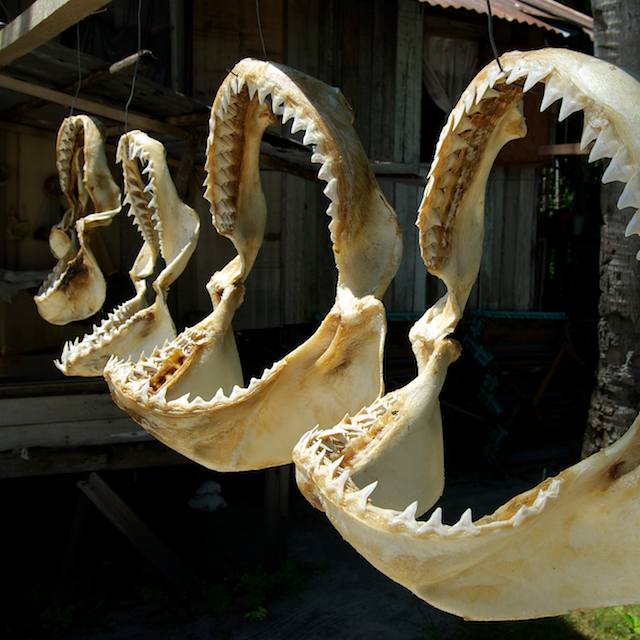 Indonesia, Malaysia, Thailand and Singapore all rank within the world’s top 20 shark fin exporting countries. Indonesia was the top manta fishing country but a recent moratorium on all manta fishing in the country will make a significant contribution.